Now that I’m finally on spring break, I truly hope that I will be able to blog more. I have been gone for nearly a month now, which is the longest time that I haven’t posted anything on my blog since its creation. I’ve been feeling a bit burnt out, and as I said before, school is still taking up a huge chunk of my time. I can’t wait to graduate; at least now there is less than two months left. Regardless, over the past year, there have been numerous books which I started but didn’t finish for numerous reasons. Mostly, it was not that I disliked the books or intended to stop them, but that I one way or another was unable to finish them. I got distracted, started new books saying that I would continue reading them…but never did. So, I wanted to write a post about all these books as motivation to complete them! The first book on this list is one I started reading…two years ago? 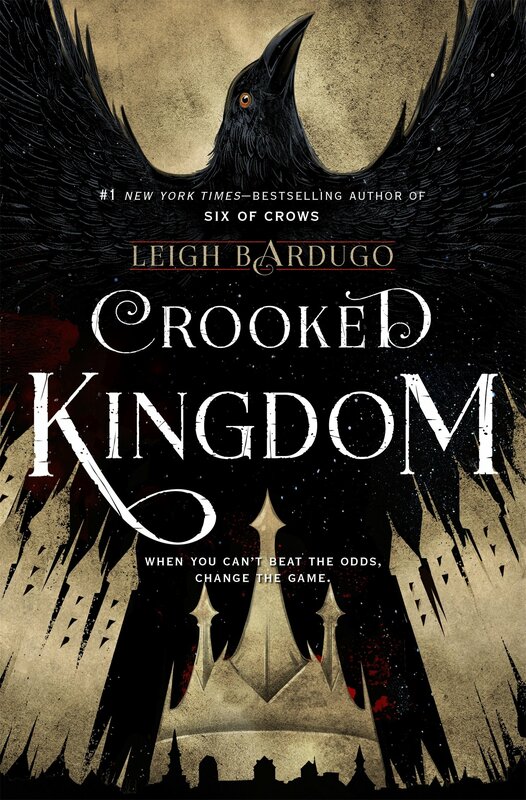 And this is going to be a complete shock for those who know how much I love Leigh Bardugo: Crooked Kingdom. Now, here’s the thing. I read about 200 pages of it when I had a copy from the library. But then I had to give it back. And although I was gifted a copy of it afterwards, I never got around to reading it even though I sincerely love this series. BUT I WILL. (Hopefully). 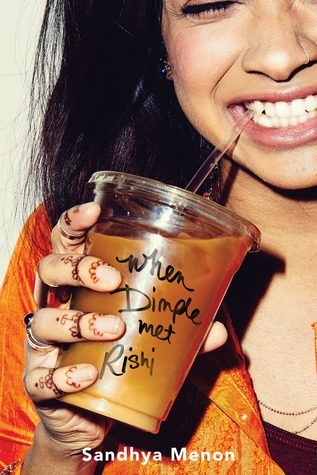 Next, I have When Dimple Met Rishi by Sandhya Menon. I think I also started reading this book over a year ago, and I believe I read more than half of it. I liked it, too! The issue was…sometime as I was reading it…I got distracted…and then never finished it. Again, I do want to finish it, though. Next I have Emergency Contact by Mary H.K. Choi. I think I read around 60% of this book, and I was really into it as I read it. But then I randomly stopped. And I haven’t been able to get around to it ever since…sigh. 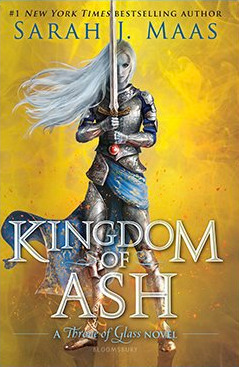 Now, here’s the most problematic book on this list: Kingdom of Ash by Sarah J. Maas. Why, you may ask? Well, here’s the thing. I’m not quite sure I want to read this book anymore. I read around 200 pages of the nearly 1000 paged book, and guys, it has thus far been so damn boring. I’ve definitely started disliking her books more and more, and with Tower of Dawn I was really starting to get annoyed. So, though I really want to see how this series ends, I’m not certain if I want to jump into the novel again because it feels like a job. Not to mention I have already forgotten what I read a couple months ago. Alright, so now that that’s been said, the rest of the couple books on this list I am currently more-or-less actively reading. I just need to make sure I finish them before I forget about them and move onto other books. First, I have Soul in Darkness by Wendy Higgins. I only have about 10% of the book left, so I’m almost there! I’ve been reading it as an e-book over the past two months which is why I keep forgetting to finish it. Next, I have We Regret to Inform You by Ariel Kaplan. I started reading this one about two weeks ago with a library copy. Guess what happened? I had to give the book back, so even though I found it super entertaining, I’m still halfway through it. Yikes. Finally, the book I’m reading right now–The Astonishing Color of After by Emily X. R. Pan! I met Emily at the Nova Teen Book Festival a couple weeks ago, and she was absolutely wonderful. I can’t wait to read the rest of the book. Anyway, thank you so much for reading! Please let me know if you have a bunch of unfinished books like me, haha. I sincerely apologize for being gone the past three or so weeks. Even though I’m a second semester senior, it seems that the work for school never stops. I’ve been swamped, haven’t been reading much that I can blog about, and absolutely exhausted. I just wanted to at least post this, even though it doesn’t do much, to make myself feel better. My Blog Turns 4 Today! Today WordPress notified me that this little blog–which I created as an 8th grader–turns four today. I don’t have anything planned for this post, but it made me happy to learn that I’ve been blogging for exactly four years now. Though I knew that I would blog for a while, I didn’t think four years would pass by. This blog is basically an active journal of my life throughout all of high school, and I hope even longer than that, too. For those of you who see this post, thank you for reading even if its only every once in a while. It truly means a lot! Hi everyone! 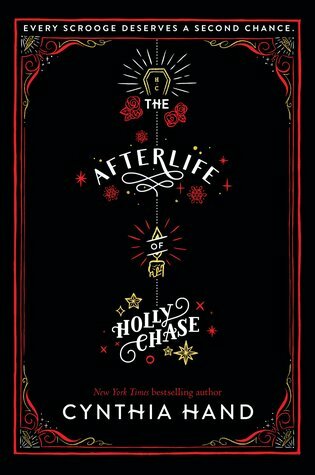 Over winter break, I randomly decided to read The Afterlife of Holly Chase–not because it was Christmas, because I don’t celebrate–but literally just randomly. I saw that the reviews on Goodreads said that the main character was absolutely horrible, as in, a hate-to-love sort of way. So, I started reading it just for the fun of the main character. Y’all. It was so good. If you want to know more about it, it’s basically a retelling of Charles Dickens’ A Christmas Carol. But you don’t need to know anything about it to read it or enjoy it; I certainly didn’t. I honestly don’t think you should even think too much about reading it. Just hop right in: that’s what makes it so enjoyable. Holly is an absolute jerk of a character, but her voice is addictive. Sure, the writing doesn’t have anything special about it. There’s no lyrical prose or swoon-worthy quotes, really, but it doesn’t matter. When I tell you it’s addictive, it’s addictive. I couldn’t stop reading because whenever I thought the pace had slowed, or that I was getting a bit bored, something new happened. There were new twists in every corner, and every second of it was so entertaining. Though I predicted a couple of the twists, there were so many that I couldn’t help but be delightfully surprised many times. This book is humorous. It is a natural entertainer, and it doesn’t try too hard to be funny. It just is. Regardless of what kind of story you like, I highly recommend you check this book out. When I say it’s the most entertaining book ever, I mean it. Even if you don’t love it as much as I did, it should still give you a good laugh. Besides all the humor, it also had some ~deep~ stuff in it which made it all the more better. Plus, it was super creative and unlike anything I’d read in such a long time. 5 stars! It’s been a couple weeks since I’ve written a blog post. As first semester wrapped up, I found myself with little to no time as I scrambled to put everything together. I’m now a second semester senior, and I’ve already read two books since the end of first semester! I am actually so proud of myself. I’ll be posting about about the books I’ve been reading soon. Anyway, the past couple months I’ve been thinking a lot about the books I have that I just don’t really care about anymore. For this reason, I decided to sell them (for very cheap prices–most of them I had bought full price) and make more room. Here the books are! Sorry for the low quality, I’m not sure why that’s happening. Illuminae–this book got TONS of hype when it first came out…I bought it for full price, expecting to love it, and honestly thought it was mediocre. The style without a proper narrative just did not work for me. The plot? Meh. I never liked it all that much and didn’t feel sorry letting it go. Fairest, Cress, and Winter by Marissa Meyer–these books were definitely much harder to let go of. The truth is is that though I loved Cinder when I first read it (which I decided to keep), the other books in the series were not nearly as good as I thought they would be. I was way too excited when I read them and didn’t realize that I didn’t even like them all that much. It was hard letting go because the books themselves are really pretty and I still enjoyed them, but oh well. Eleanor & Park and Fangirl–Rainbow Rowell is overrated. (I’M SORRY I KNOW A LOT OF PEOPLE LOVE HER). Though I actually thoroughly enjoyed E&P, my copy was just sitting around not doing much. And though I really loved taking pictures of Fangirl because of the cute cover all the time, I never liked it. It just was not an enjoyable book for me, nor was it relatable the way I was expecting it to be. Cruel Beauty–I liked this book, I truly did. I still do; I hold no grudges against it. I even still love the cover. But I realized I wasn’t going to be doing much with it and thought someone else might want it more than I do now. The Secret History–I really, really wanted to like this book. But I couldn’t get through it. Not only that, but it was creeping the crap out of me. This is hard to explain, but I just wasn’t getting good vibes while reading it (especially late at night). Thus, I gave it away. The other two books on this list I have not been able to sell, as one of them was required reading and the other I don’t think I’ll be reading anytime soon. I’ll probably end up donating them somewhere! Have you ever unhauled any books? Did you feel good about doing the unhaul afterwards? Thanks for reading! Reading Books for School: I Don’t Mind it Now? As most of you probably know, I’m basically a full-time student as a senior in high school. For so many years, I resisted reading (this is a generalization, to be fair) books that were assigned by my classes for English, even when they were fiction. This is probably surprising to a lot of people who know I love reading. And I hope that none of my past English teachers happen to read my blog. To clarify, it’s not that I didn’t read anything. I did indeed read at least one or two full books each year, but the other books–I usually ended up skimming, reading parts of them, and getting the rest of the information I needed to write properly from class discussions or online resources. Some of the books, it was because I just…didn’t have time. The past couple of years, I averaged 6 (or less, especially sophomore year) hours of sleep. I was walking and seemed to function, but I really wasn’t. All I wanted to do was sleep and I was so unhappy because all my other classes took up my time. So, I did the bare minimum to get my work for English done. And this meant I didn’t fully read the novels I was supposed to. In addition to that, I must admit, I was quite bored with some of the books assigned. We mostly read classics with heavy language and uninteresting plots. That, plus my already tired state, made me despise the books that were assigned in school. This all changed in my senior year, or now. I decided to take AP English Literature this year, and so far, I’ve actually enjoyed nearly everything we’ve read as a class. We started out with two plays–which I actually liked!–then read Wuthering Heights and Crime and Punishment. Sure, I won’t lie. Neither of these can be as fun as reading a modern day YA book, but they weren’t nearly as boring as the books I had read in previous years. Now, I started reading The Poisonwood Bible also for class and though I’ve only gotten through a couple pages, I’m thoroughly intrigued. It seems like my past fears about required readings has nearly passed. What do you guys think of books that are required for school? Do you go through all your assigned readings properly, or not? I’d love to talk! Hi everyone! As I write this, I am actually still on break, scheduling some posts so that my blog doesn’t die. One of my favorite things about the “New Year” is getting excited over new releases, even if I don’t end up reading them. So, here we go! Note: this list is only made up of books that will come out from January – June of 2019. 2. 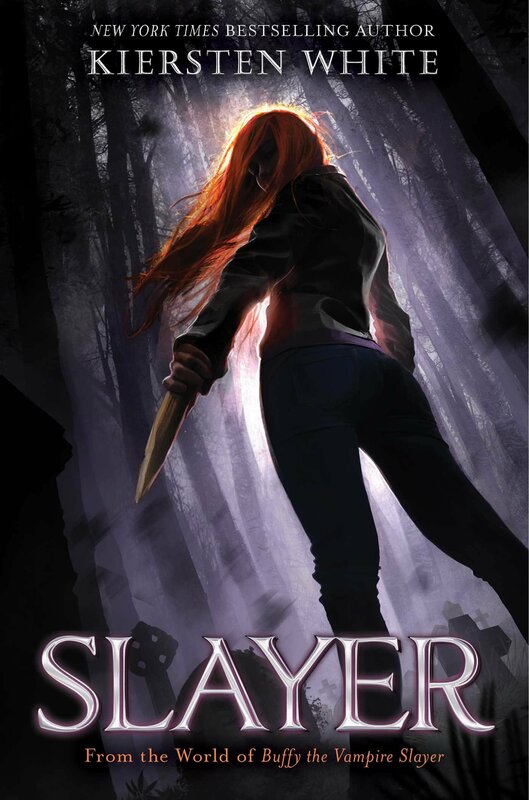 Slayer by Kiersten White–January 8th. I actually don’t know much about this book, but Kiersten’s stories are usually really addictive and fun to read, which is why this is on this list. 3. 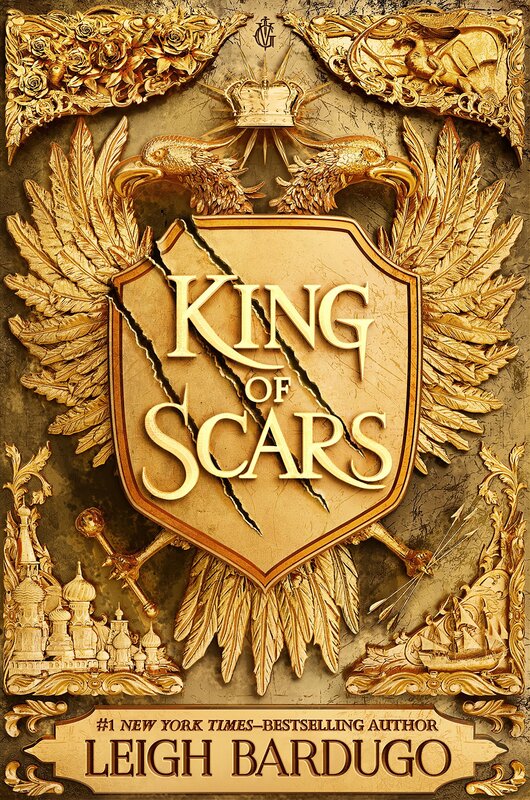 King of Scars by Leigh Bardugo–January 29th. Another fantasy book by one of my favorite authors? Heck yea. And the COVER. I can’t even imagine how it will look in real life. 4. 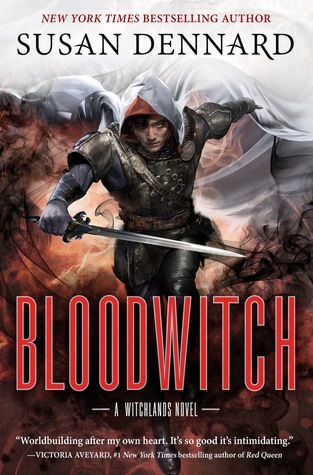 Bloodwitch by Susan Dennard–February 12th. I actually have yet to read the novella in between, but I know I will absolutely adore this novel since Truthwitch is already one of my favorite fantasy series despite there only being two full books published thus far. 5. 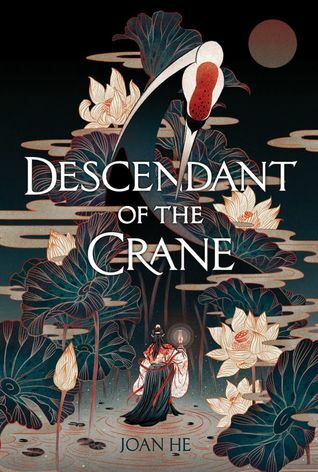 Descendant of the Crane by Joan He–April 2nd. I actually don’t know much about this book, frankly speaking, but a) it’s diverse, own-voices and b) I am in love with the cover (as usual). 6. 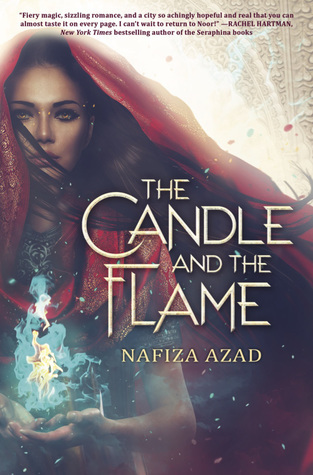 The Candle and the Flame by Nafiza Azad–May 14th. Middle-Eastern fantasy? Hijabi author? Yes, I will support. 7. 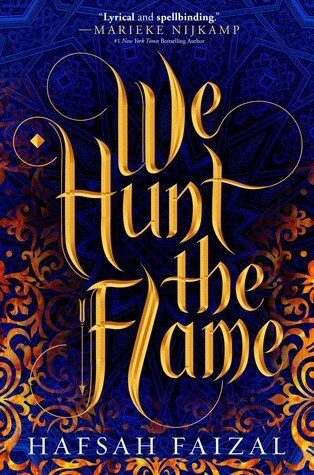 We Hunt the Flame by Hafsah Faizal–May 14th. ANOTHER MIDDLE-EASTERN INSPIRED FANTASY NOVEL. I AM LIVING. 8. 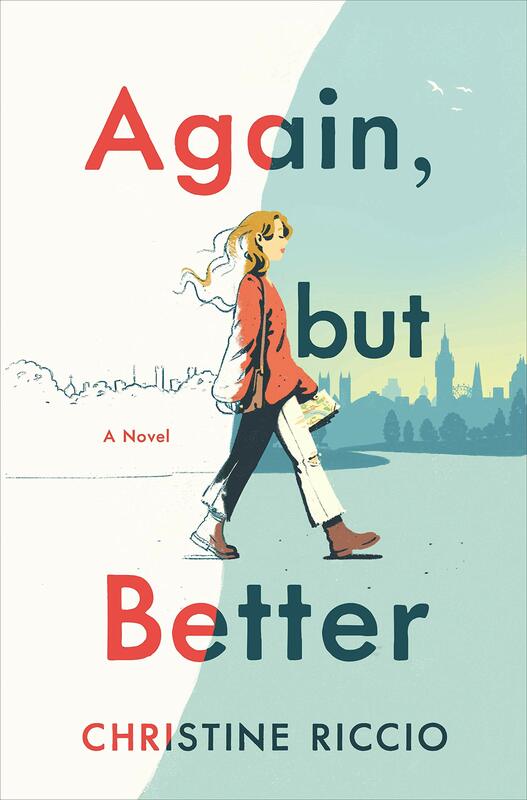 Again, But Better by Christine Riccio–May 21st. Though I’m wary of approaching books written by Youtubers, Christine has consistently been one of my favorite Booktubers for years, and I would like to see what book she has written. 9. Love from A to Z by S.K. Ali–May 7th. (I know I got the book above and this one out of chronological order, but oh well). 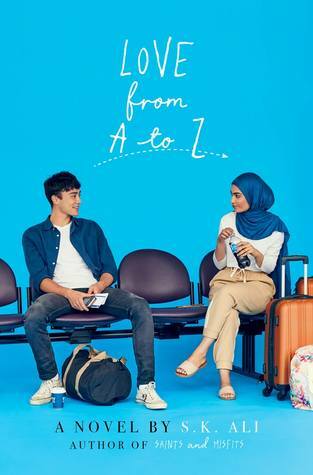 I’m not sure what to expect from this novel, but it does have two Muslim leads, so I’m excited about that. 10. 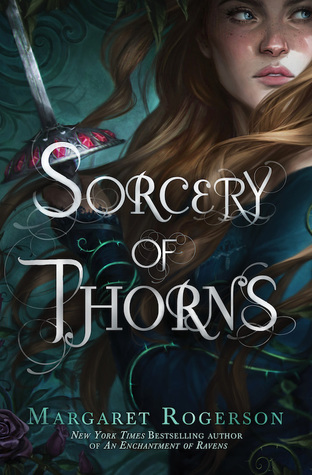 Sorcery of Thorns by Margaret Rogerson–June 4th. This is one of my most anticipated reads of the year, considering how much I loved Rogerson’s debut novel. I can’t wait to see what other awesome stuff she has in store for us! And that’s it for this post! I unfortunately probably won’t be able to get to most of these books when they are newly released, but I liked writing about them anyway. Which books are you most excited for in 2019? follow and receive smiles and books! Hi! I'm Silanur, a Turkish-American high-school student whose time is mostly spent studying. Don't mind my username; 8th grader Silanur thought it sounded cute and so the name "Aloof" Books stuck. I hope you enjoy your stay here on my little corner of the Internet!